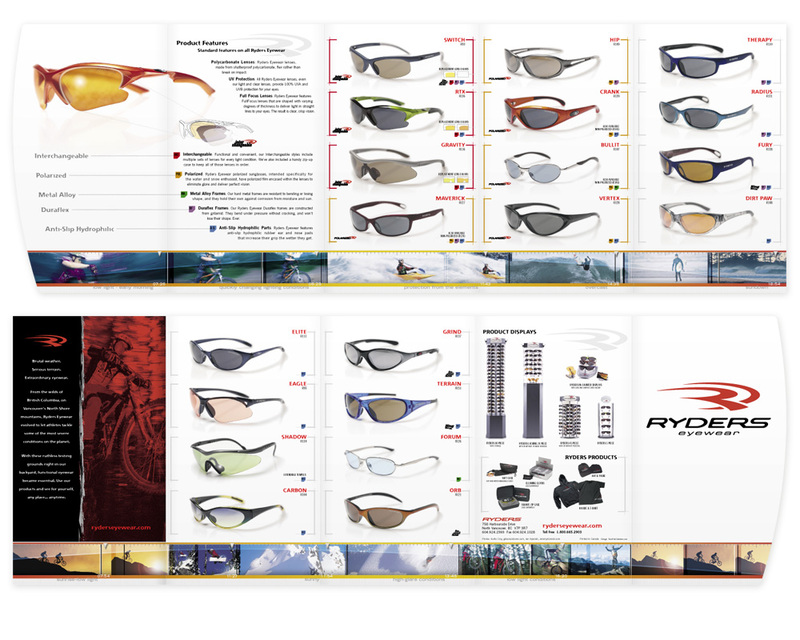 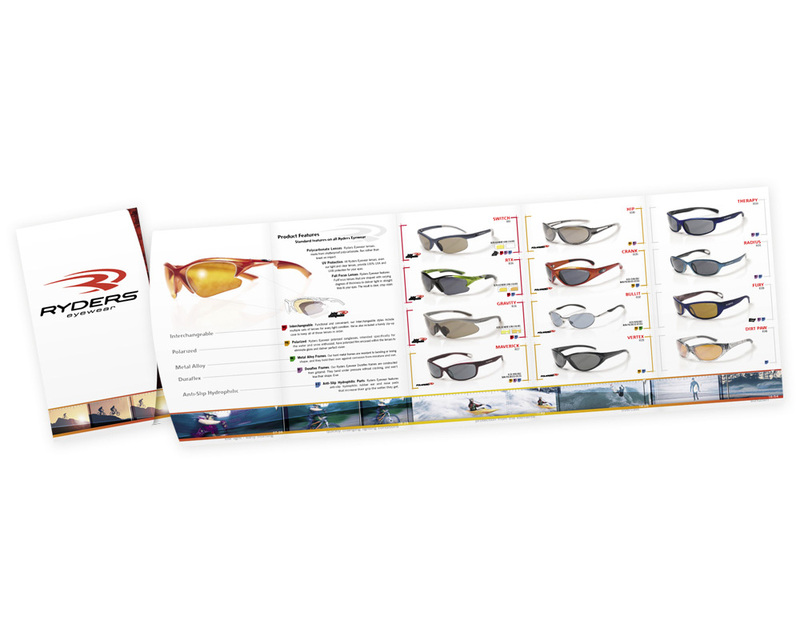 Fold out catalogue for Ryders Eyewear showcases all their latest products for both the consumer, and also works as a distributor catalogue. 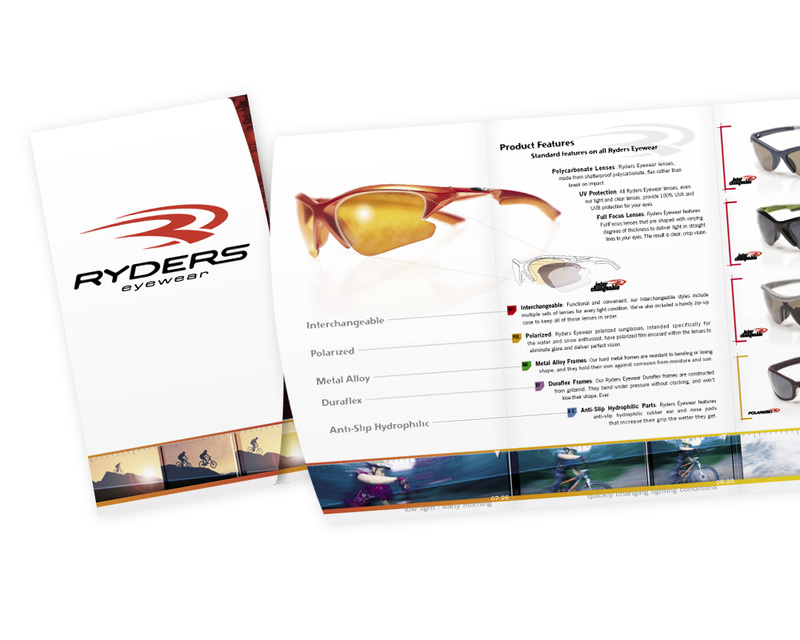 The cover has a unique die-cut which reveals the artwork that sits directly below it; a lead into the next page of the catalogue. 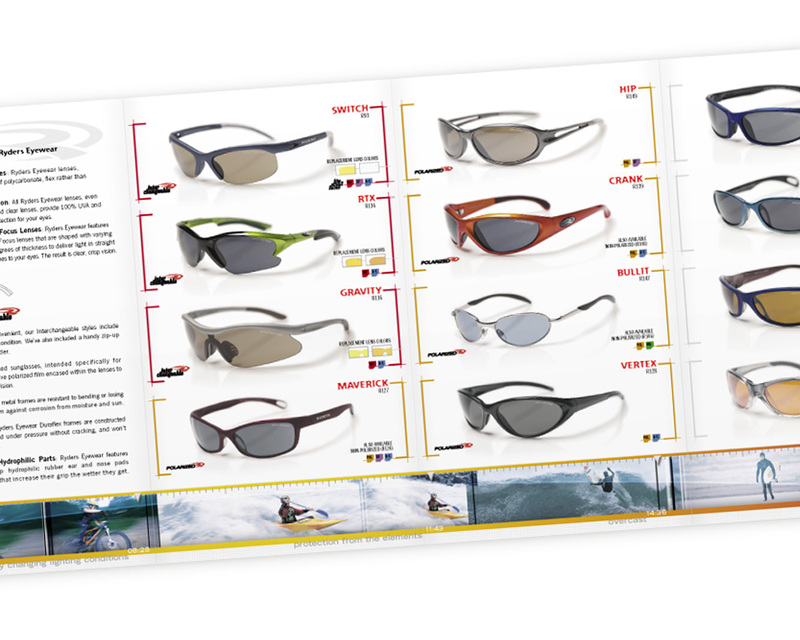 The catalogue was produced in both English and French.